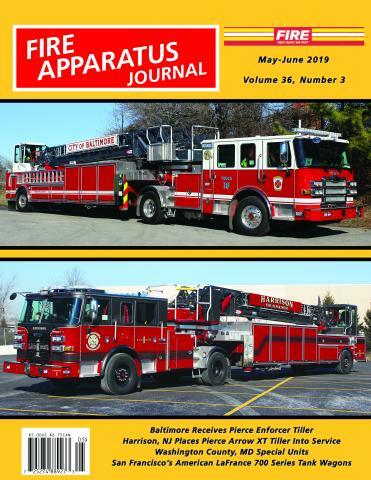 Las Vegas Metro by Chuck Madderom | Fire Apparatus Journal Inc. The Las Vegas Metro column is written by Chuck Madderom. The column provides information on new apparatus delivered and new orders placed by the municipal departments as well as government agencies in Southern Nevada. The most familiar department names are Las Vegas and Clark County Fire Departments. New apparatus coverage is also provided for Nye County, Nevada, to the West and North of Clark County. The Las Vegas Area is well known for its casinos and stage show entertainment by famous stars. The casinos in downtown Las Vegas, as well as those on the famous “Las Vegas Strip”, pose many challenges in fire protection and suppression. The Las Vegas City and Clark County Fire Departments, who protect those centers and the fast growing residential areas, operate modern fleets, which include specialized apparatus. The other departments in the Las Vegas Metropolitan Area have continuing rapid growth as well, adding new apparatus annually. The Las Vegas Metro Update is written by Chuck Madderom. Chuck Madderom’s interest in fire apparatus and fire department history was developed while growing up in Milwaukee. Chuck had the good fortune of living in the Midwest, on both the East and West Coasts and now the Las Vegas Metropolitan Area. In addition to his column, Chuck’s excellent photos have been used in numerous fire apparatus books and fire service publications. He is also the author of three photo history books, Los Angeles Fire Apparatus Photo Archive 1953-1999, Crown Firecoach 1951-1985 Photo Archive and Van Pelt Fire Apparatus 1925-1987 Photo Archive.